Minty scent accents lavender-rose blooms and gray-green foliage. The free-flowering tall spikes are arrayed in lavender-rose blooms and fragrant, gray-green foliage with dark stems. 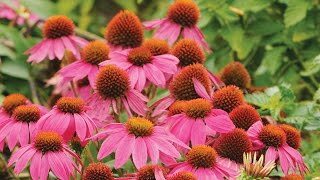 It's terrific as cut flowers and a popular variety with hummingbirds. Agastache may be grown from seed sown early indoors and transplanted outside after frost, sown directly in the garden in summer, or grown from potted plants. Sow seeds indoors 6-8 weeks before last spring frost date. Select a location in full sun with good rich moist organic soil. Agastache requires a well-drained soil. 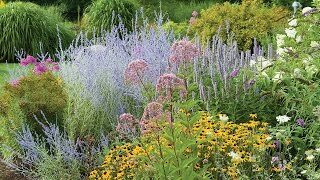 Agastache tends to be a short-lived perennial, but it will reseed where it is happy. Use anise-flavored leaves and flowers as a seasoning or to make a tea. Agastache, Rose Mint is rated 2.6 out of 5 by 7. Rated 4 out of 5 by Trentt from Much better experience than other reviewers I started the seeds indoors and germination was prolific. I just transplanted about 20 seedlings outdoors and will wait to see what happens. All the baby agastache were sturdy and healthy, and did not seem to resent transplanting. Rated 1 out of 5 by mine from Bad seeds Will not write a review. Just so you know not one seed grew. Rated 1 out of 5 by Garden Aud from Only leaves, no growth I'm a amateur gardener. I can't blame the product or company for my lack of success. I'm learning. I only grew leaves. I planted them in the ground but they still aren't growing. Only 2 seeds germinated. Maybe they will bloom next year. Rated 5 out of 5 by DawnP from Hearty seedling when planted outside This was my first attempt at growing from seeds and I now have 5 strong Agastache starts that we just planted in the ground. Very exciting for us! I just babied them and when it would downpour or it was going to be windy, I put them in a more protected area. After sunny and rainy days, they started growing and never stopped. Rated 4 out of 5 by AnneO from Hardy, Pretty and Difficult to Start Seeding individually in cell packs indoors didn't work well. Most of the seeds germinated, but the seedlings were so delicate they died easily. So, I gave up and dumped 5-6 seeds into a small pot and left it outside. Sure enough, they all sprouted and grew in spite of substantial neglect and irregular watering. The plant survived winter on the deck with an occasional cover for freezing temperatures, and an unexpected hailstorm that decimated most of my plants barely harmed the Rose Mint. Earlier this spring, I transplanted it into the hottest, driest and sunniest spot in the garden. Right now, it's in full bloom and covered with butterflies. The deer have approached it several times and walked away every time without even taking a test bite. The tiny flowers are so delicate and pretty. They look beautiful mixed in with Mint Lemon and Anise Hyssop Blue. But for slow start, this is an excellent plant. It seems to adore being ignored and dehydrated, which is a huge plus during the summer. Rated 2 out of 5 by davesc from so-so Only 6 germinated out of the entire pack of seeds. May have been a bad pack but that's pretty low regardless. All the other seeds I bought did as expected. I'll plant the ones I have in April and see how they do.